From the "Aww, cute!" 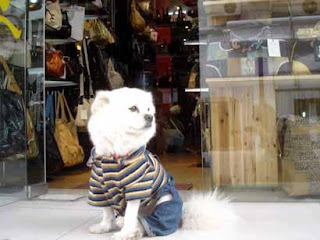 department: this dog was dressed up by the leather store owner and sits at the front door welcoming customers in. "And when a customer is leaving, he will bow, expressing thanks." How do I tag this post: formats or devices?